Before we move on, foreign investment in Mongolia can't be fully understood without examining the role of the IMF in Mongolia. According to the World Competitiveness Report, Mongolia’s highest-performing factors affecting their global competitiveness for foreign investment are the country’s tax policy, employment rate, and, at the best in the world, Mongolia’s prices. This dominant ranking may result from inflation rates, and naturally this fares particularly well for foreign investors looking for a high return. The Mongolian market’s recovering economic outlook with currently favorable pricing in industries across the country gives foreign investors the opportunity to learn more about an emerging market at a low cost. 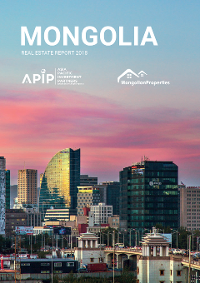 To investors and executives, the most appealing aspect of investing in Mongolia to investors consist of the high return potential from a dynamic economy, followed by factors such as cost competitiveness, educational levels, and overall positive attitudes. Other Mongolian economic strengths relative to the world’s economic powerhouses include telecom investment, gender equity, disposable income, and worker compensation. Foreign investment has been directed primarily into the minerals sector but in years of rising FDI spread outward to contractors and service providers, lifting all sectors of the economy. Significant amounts of foreign capital have also been injected into the construction, wholesale and retail sectors. Investments into the mining sector have declined dramatically due to the decrease in commodity prices, however, total investment into the construction sector has increased fivefold since 2009, and wholesale and retail sector investments, have almost doubled since 2009. The single largest foreign invested project - also the single largest project in Mongolia’s history - is the Oyu Tolgoi copper gold mine. The OT project is responsible for a large portion of the FDI that has entered the country over the past several years. The sudden decline of foreign investment from 2012 was due in large part to the winding down of expenditures related to the open pit first phase of OT’s construction. The global retreat of capital from emerging markets as developed economies recover is another factor that contributed to the fall in FDI. Foreign Direct Investment has been critical to Mongolia’s economic development, but has stirred controversy and created a strand of public opinion that strongly opposes perceived foreign control of national assets. This sentiment came to a head in early 2012, when the Aluminum Corporation of China Limited (CHALCO), a Chinese state-owned company, made a bid to acquire control of SouthGobi Resources, a major local coal producer. China already buys more than 90% of the coal that Mongolia produces, and Winsway Coking Coal, another Chinese company, is the biggest player in the purchasing and transportation market for Mongolian coal. In the build-up to the 2012 parliamentary elections, most members of parliament were eager to show their nationalist credentials and score populist points in order to gain votes. As a result, in May 2012, just a few weeks before the parliamentary elections, Mongolia passed the now infamous Strategic Entities Foreign Investment Law (SEFIL) by a wide margin. The law stated that any foreign investment of over US$75 million or any foreign investment of any size that targets the mining sector or other sectors deemed “strategic” must be reviewed and approved by Parliament. As a result, in 2013, FDI dropped more than 50% year-on-year, and in 2014, it further declined 84% from its 2013 level- amounting to just one third of a billion dollars. In 2015 it further declined to US$94 million (which in 2011 was US$4.6 billion). In 2016, the World Bank recorded a negative FDI number, due to divestment exceeding investments. Thankfully 2017 marked a recovery to a modest US$1.5billion- the highest level since 2013. Cognizant of the drop off in FDI and its dramatic negative impact on the economy, Mongolia’s Parliament called an emergency session in late September 2013. While no regulations were passed during the session, a number of bipartisan proposals were floated regarding legislative changes that might help to lure capital back to Mongolia. During the first week of the regular fall session starting in October, parliament passed a new investment law designed to encourage FDI. The new law supersedes all prior investment laws, canceling the controversial SEFIL, and erases many of the former distinctions between foreign and local investors- limiting restrictions to foreign state owned firms. It is based on “stability agreements” that lock in tax rates, royalty payments and other regulations for investors of capital that exceed predetermined thresholds. The stability agreements delivered under the law provide investors with a guarantee that the profitability of their projects will not be subject to the whims of future elected governments, thus significantly reducing sovereign risk. The exact length of the stability agreement guarantee depends on the amount of capital invested and the region where the project is developed, with capital invested in Mongolia’s less developed provinces receiving preferential treatment. Mongolia’s recent deal with China to export coal to make up for a lull in Chinese production, for example, serves as a clear example that Mongolian mining is leading the country to maximize its resources and doubling its original revenues. Neither Mongolia nor foreign investors can leave these resources untapped. Its world-class mineral reserves hold incredible allure and will almost certainly be developed by one source of financing or another.